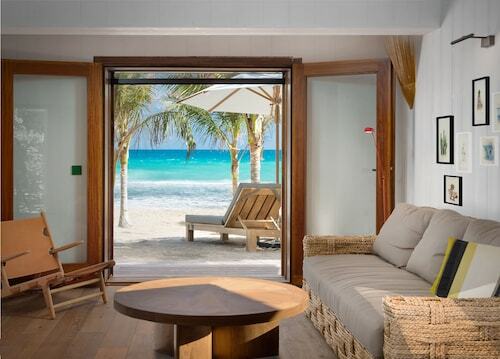 Nestled on the beach, this Anse des Cayes hotel is 0.1 mi (0.1 km) from Anse des Cayes Beach and 1.9 mi (3.1 km) from Gustavia Harbor. Corossol and Corossol Beach are also within 2 mi (3 km). 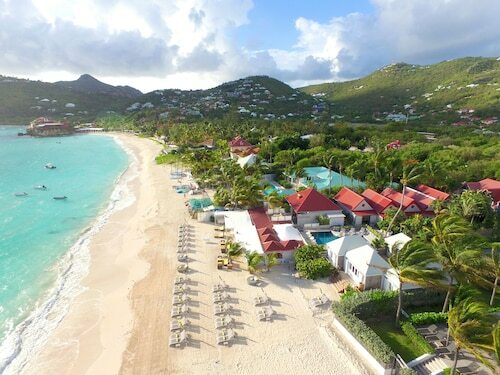 Located in Saint-Jean, this beachfront hotel is in a shopping district, 0.1 mi (0.1 km) from St. Jean Beach, and 1.5 mi (2.5 km) from Gustavia Harbor. Corossol and Fort Gustave are also within 1 mi (2 km). Situated in St. Barthelemy, this luxury villa is within a 15-minute walk of Fort Gustave and Gustavia Harbor. Corossol and Wall House are also within 1 mi (2 km). Located in Le Palidor, this romantic property is 0.3 mi (0.5 km) from Corossol and 1.4 mi (2.2 km) from Gustavia Harbor. Anse des Cayes Beach and Fort Gustave are also within 1 mi (2 km). 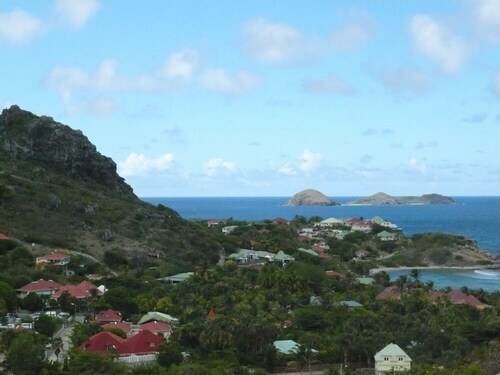 Situated in St. Barthelemy, this villa is 0.5 mi (0.9 km) from Corossol and 1.6 mi (2.6 km) from Gustavia Harbor. Fort Gustave and Anse des Cayes Beach are also within 1 mi (2 km).